Ever wonder which marketing statistics show what separates the best-managed and most successful teams from the rest? We have. 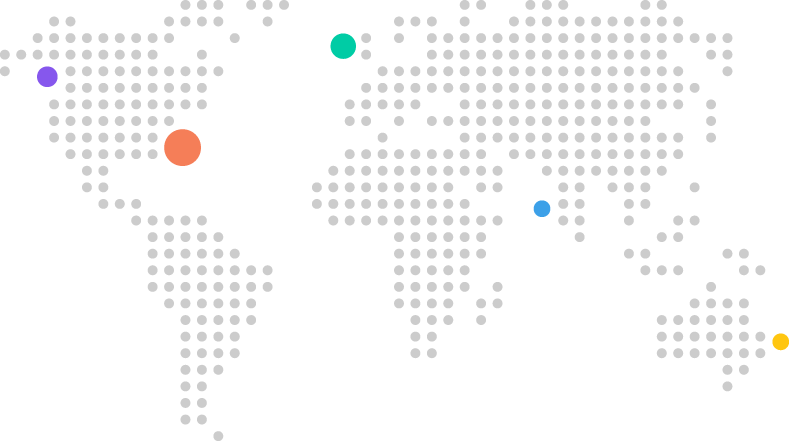 So we surveyed 3,599 marketers from more than 100 countries to find out. The data below spans benchmarks for getting organized, proactive planning, documenting strategy, and more. 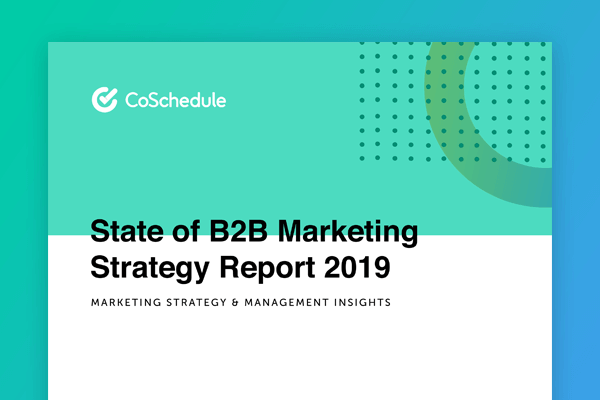 Plus, learn which tactics and content types are performing best for B2B and B2C marketing teams. Where Do Surveyed Marketers Live? How Do Surveyed Marketers Describe Their Teams? How Large Are Their Teams? 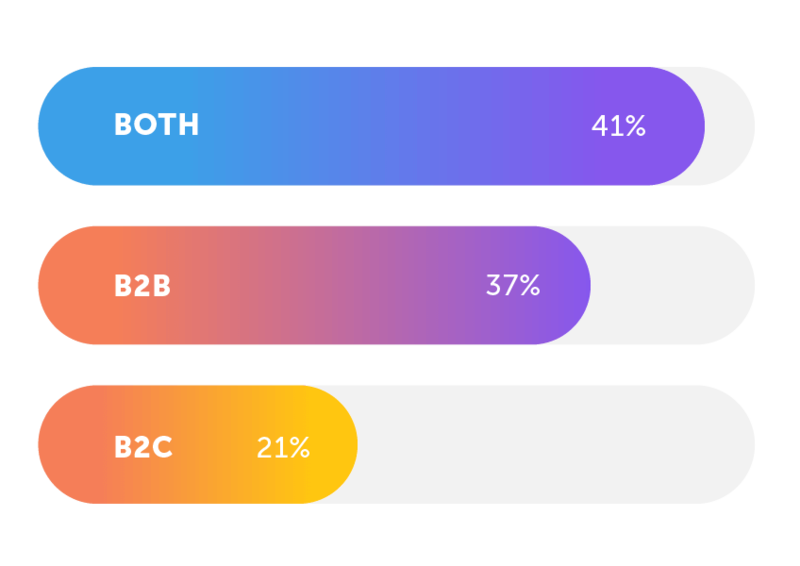 Are They B2B, B2C, or Both? This year, many of the same findings still held true (keeping in mind that the verbiage for each survey question was slightly different this year and the survey population was higher). Top marketers are organized. The most organized marketers are 397% more likely to report success (R = 0.30, n = 2,055, p-value 0.0001). Top marketers set goals. Goal-setting marketers are 376% more likely to report success (R = 0.27, n = 2,055, p-value 0.0001). 70% of the most organized marketers achieve their goals Most of the Time, while an elite 10% of organized marketers Always achieve them. 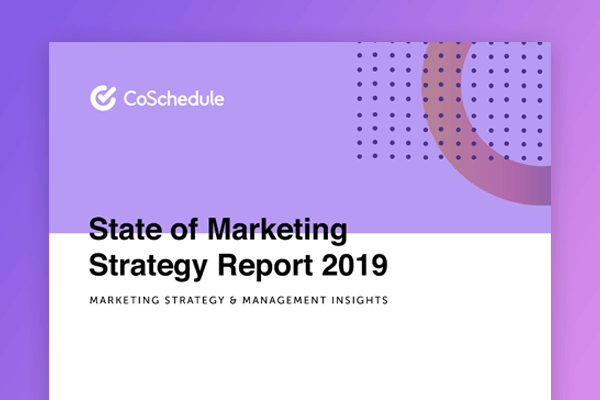 Top marketers document their strategy. 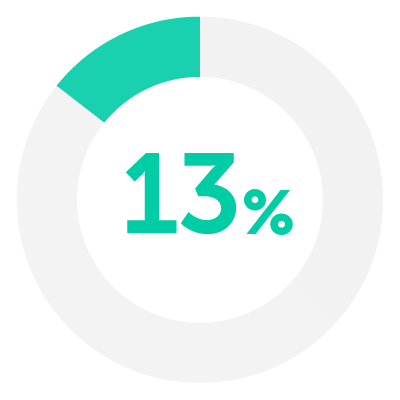 Marketers with a documented strategy are 313% more likely to report success (R = 0.27, n = 2,055, p-value 0.0001). Top marketers proactively plan projects and campaigns. 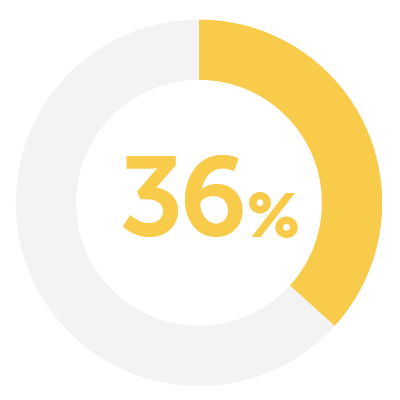 Marketers who proactively plan projects are 356% more likely to report success (R = 0.34, n = 2,055, p-value 0.0001). Top marketers use agile project management processes. Marketers using agile project management were 252% more likely to report success (R = 0.22, n = 2,055, p-value 0.0001). How does your marketing team compare to your peers when it comes to management and strategy? 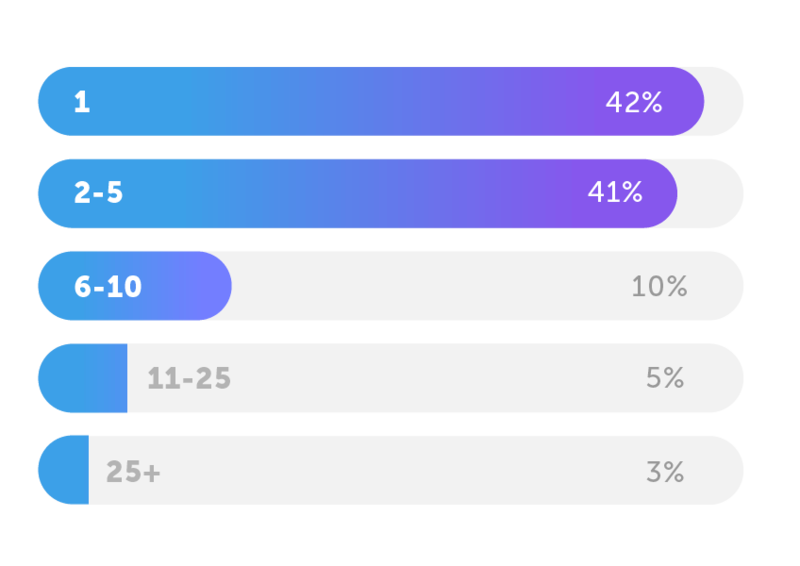 Here are the raw stats pulled from our survey respondents to help you see what other marketers and teams are doing to stay organized and achieve success. These graphs include statistics on strategy, tactics, software selection, and more. Plus, this section includes information around the verticals and industries respondents work within. Which Industry Most Accurately Describes Your Company or Organization? Do You Set Marketing Goals? If You Answered Yes to Setting Marketing Goals, Are You Successful in Achieving Them? Do You Have a Documented Strategy That Drives All Your Marketing Efforts? Portions of our strategy are documented. Not at this time, but we plan to document our strategy in 2019. Our entire marketing strategy is documented. We have no documented marketing strategy. Do You Assign Deadlines to Your Projects/Campaigns? Is your marketing team proactively organized (planning tasks, campaigns, and projects ahead of time with clear processes built around organizational tools)? 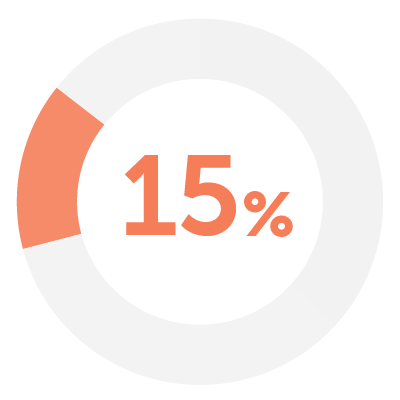 Do you quantitatively measure each member of your team’s productivity? Do you use marketing project management software? Does your team include a dedicated marketing project manager? Do you proactively plan marketing campaigns and projects ahead of time? Does your marketing team possess strong organizational skills? What is the top-performing type of content your company publishes or creates? Do you implement agile marketing processes? Which types of tools does your marketing team use? Is it easy for your team to find required resources and assets to complete projects on time? Get the context you need to make better decisions about your marketing management and strategy. 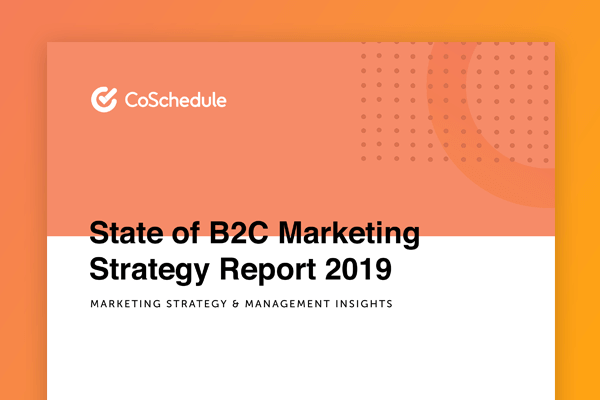 With this complete report, you’ll get additional insight and analysis to understand exactly how this data correlates with marketing success, and better understand what separates top teams from those that are struggling. See how in-house and agency marketing teams are approaching strategy and management to achieve success. Get a full analysis and insights specifically based on data from B2B marketers. Get a full analysis and insights specifically based on data from B2C marketers.